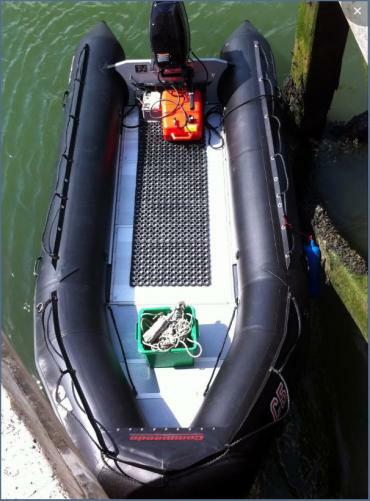 Many dive clubs already have their own RIBS, we know, but in case one day you need one - we have a new 8 diver RIB available, and is great for local dive sites. Full RIB Charter is £120 a day, or £15 per head for a one dive trip. All required safety equipment and radios are supplied, as well as a member of our staff to skipper or be your surface support if you wish it. Boarding the boat is directly outside the dive centre making loading and unloading easy, and convenient for air fills/last minute equipment hire or purchases. Individual places are £15/head. If you are unable to fill the whole boat let us know, we will still run the trip if there are a minimum of four paying divers, and we may be able to fill the empty places for you. • Adjacent to Old Harbour Dive Centre (£7 for the day). Postal Code: DT4 8TX.